Do you struggle with morning sickness? You’re not alone. More than 1/2 of pregnant women experience it, most often in the first trimester. Typically as you approach the second trimester, this starts to alleviate. Unfortunately for a small percentage of us, it may continue beyond this time. And if you’re going through it, you know it doesn’t just happen in the morning. However, did you know that morning sickness is actually a good thing? Yes, you read that right! Even though it doesn’t feel good, it actually is a sign that our hormones are behaving like they should during pregnancy. Often nausea is a result of our thyroid hormones increasing, in order to supply our baby with additional iodine and thyroid hormones that they need for proper development. 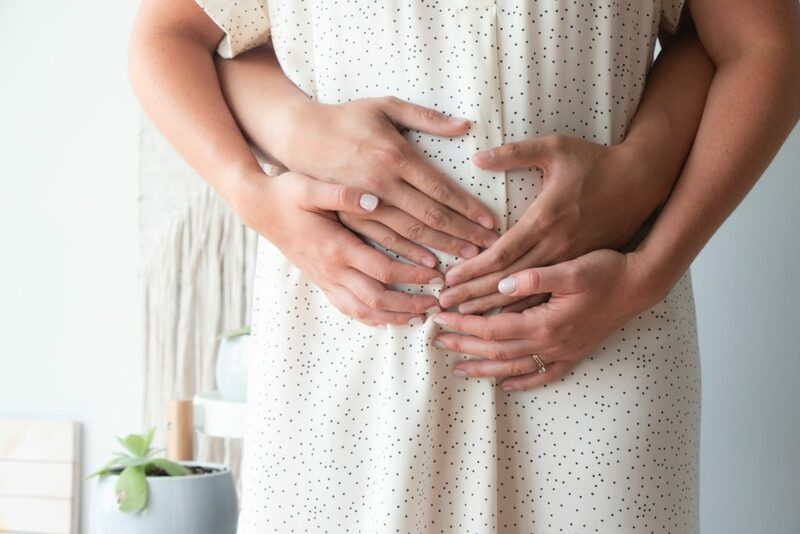 That doesn’t mean if you don’t have morning sickness, your body isn’t getting what it needs, but just know it can be part of the normal process and a sign your body is changing in order to adjust for your growing little one. The good news is there are things you do with your diet and if needed, supplements you can take to reduce these symptoms. Here I share my top tips for reducing morning sickness as much as possible. Keep a dry snack by your bedside to have before you get out of bed, ideally something with protein and a little carb. A great example is lightly salted nuts. Taking your time in the morning and setting your alarm at least 10 minutes earlier is so helpful so you’re not rushed. Often when we rush or get up too quickly, it can trigger nausea especially on an empty stomach after fasting all night. Start with a good breakfast containing both protein and a little carb. If you feel nauseous, often protein-containing foods can be difficult to have or want. Trying your best to try even a few bites can make a huge difference in how you’ll feel – think eggs, a protein shake, greek yogurt, or nut butters. Eat frequently – think every 3-4 hours. Often nausea is triggered as a result of hypoglycemia, or low blood sugar, and frequent meals can help to prevent this from happening in the first place. Set an alarm to remind yourself to eat if you find you’re forgetting often. 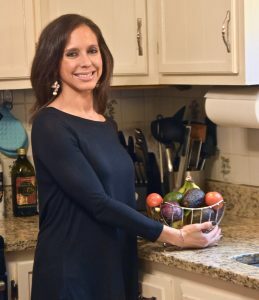 With each meal, pair your carbs (bread, pasta, rice) with a protein or fat source whenever possible (think avocado, nut butters, chicken, fish, eggs, yogurt) in order to provide more sustainable, longer lasting energy. This will also help to reduce the chances of your blood sugar dropping. Eliminate strong odors when possible, or ones that generally seem to bother you. Often strong odors particularly from fish or meat, while they’re being cooked, can trigger nausea and make you develop an aversion to that food. Have someone prepare those foods for you whenever possible, or have them at work when someone can cook and serve it to you. If you find certain foods are triggering your nausea or you have what’s called food “aversions,” stay away from those foods for the time being. Foods that most commonly cause aversions are high protein animal foods like meats, eggs, and fish. Unfortunately these are all nutritious foods that provide many of the nutrients your body needs more of during pregnancy. Sneak them into your foods whenever possible, or have your carbohydrate containing foods first to reduce the nausea, then try your proteins. If you absolutely still can’t stomach them, try making smoothies and getting in your proteins from there temporarily. You can add unsweetened whey protein or rice protein powder, chia or flax seeds, a combo of 1/2 fruits 1/2 vegetables and a fat source like greek yogurt or avocado to make a complete meal. Then, wait a few days and try those other foods again. You may find that after a short break you are able to tolerate them. 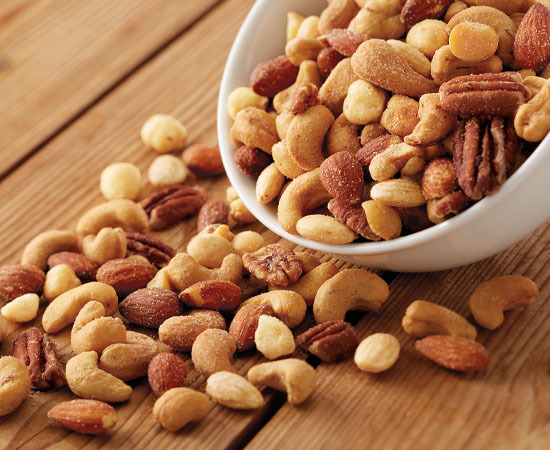 Other good protein sources are nuts, yogurt, cottage cheese, or nut butters that tend to be more well tolerated. You also may want to bump up your dose of leafy greens to get more iron during this time. If you’re finding your nausea is lasting more than a week and it is affecting your ability to eat enough, talk to your healthcare provider and ask if you need more of any supplements you’re currently on (prenatals, iron, DHA, etc.) or if any type of medication/herbals can help with your symptoms. Don’t be afraid to ask, in fact it’s your right to! Some specific foods and supplements that have been studied in the research and may help with morning sickness are ginger, magnesium, and vitamin B6. Ask your doctor or dietitian about the right dose for you. The moral of the story is just keep trying and simply do the best you can! Don’t beat yourself up for not eating perfect. Your body is changing so much during this time, and sometimes you can be doing everything you can do but your hormones are just throwing you for a loop. Cut yourself some slack and take care of yourself. Listen to your body and understand how it feels. Eat when you’re physically hungry and stop when you’re starting to get full. Simply being mindful will make a big difference. Questions? Please leave a comment below or DM me on Instagram @mommy.nutritionist.